The Key of Tea has provided me with Signature Chai for the purposes of providing an honest review. I received this product at no charge to me and received no other compensation. Signature Chai is a black tea blend that has a very strong ginger, cinnamon, peppermint and peppercorn aromas in the dry leaf. It smells delicious and has the right level of spices in the dry leaf that I would expect for any kind of chai. Signature Chai consists of: black tea, cinnamon, fennel, ginger, peppermint, cloves, peppercorn, cardamom, and coriander. There weren’t any preparation recommendations on the sample or on the website, I used my trusty Breville IQ Kettle‘s black tea setting (100°C/212°F) and steeped Signature Chai for an initial steep of 4 minutes. Signature Chai steeps to a nice medium orange colour, there’s very strong smells of cinnamon and ginger that just waft up from my tea cup. It’s a very inviting smell. 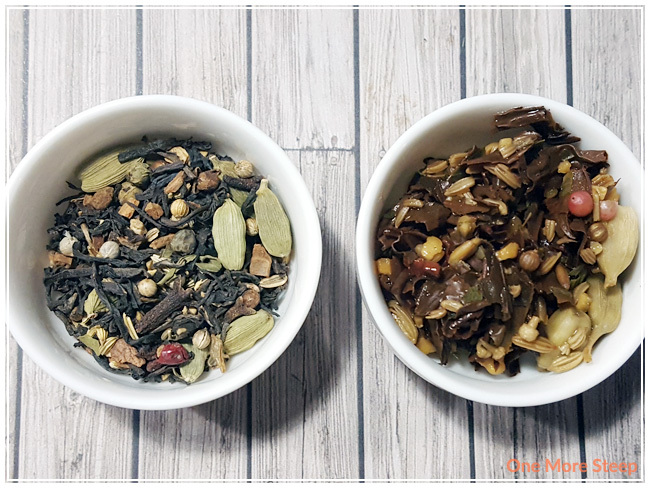 On first taste of Signature Chai, I can definitely taste the cinnamon and the ginger in the tea blend – both ingredients have great warming qualities and I like that about them. There’s a rather light freshness in each sip of tea, which I attribute to the peppermint even though I can’t really taste anything overly minty in this tea. The freshness is a welcome counterbalance to the warming qualities of the ginger and cinnamon in the blend. Unfortunately, while I could smell the peppercorn in the dry leaf of this Signature Chai, I find that I can’t really taste the peppercorn – perhaps it would come across more in the tea’s flavours if they had been crushed or ground prior to being put into the mix. 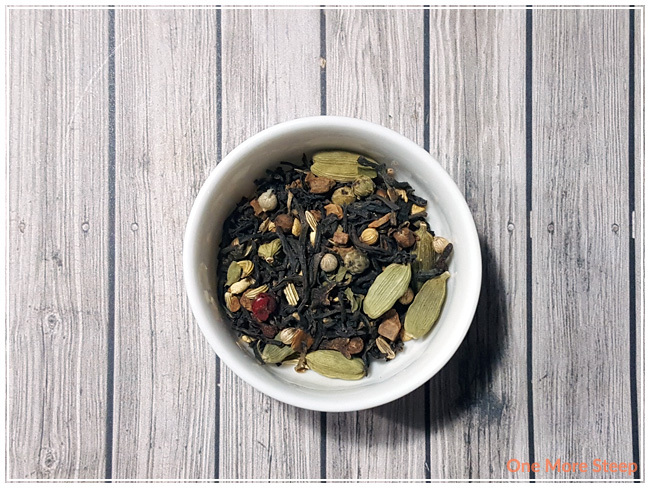 There’s a gingery aftertaste to this blend that is surprising, as it did help me to open up the sinuses a bit as it was a bit strong (but not off-putting in the slightest). I resteeped Signature Chai an additional two times, adding 30 seconds per subsequent steep. I found that the flavours noted in the initial steep hold up well throughout all of the steeps. This tea does do well with the addition of sugar and milk, so don’t hesitate to mix it up a little bit and make to your liking. 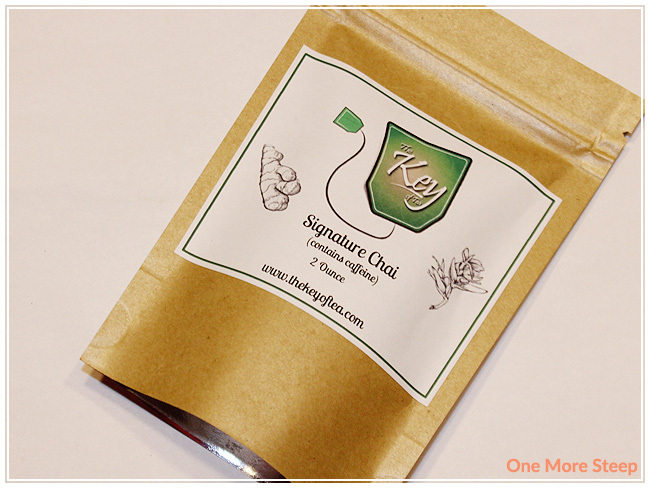 I liked The Key of Tea’s Signature Chai. 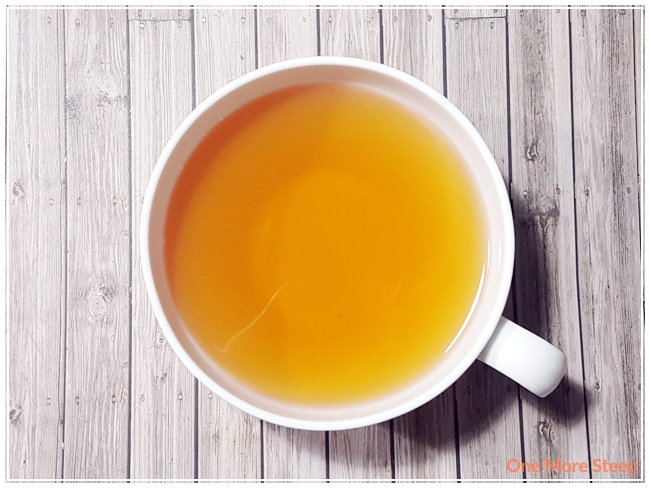 The warming qualities of the ginger and cinnamon are great, and I really like the addition of peppermint in a chai blend – I don’t think I’ve ever had that before and it’s actually quite refreshing. I do wish that the peppercorns came across more in the steeped tea, I think it would be a very different flavour if they had been crushed or ground instead of being whole peppercorns (although it is prettier to look at when they’re whole). 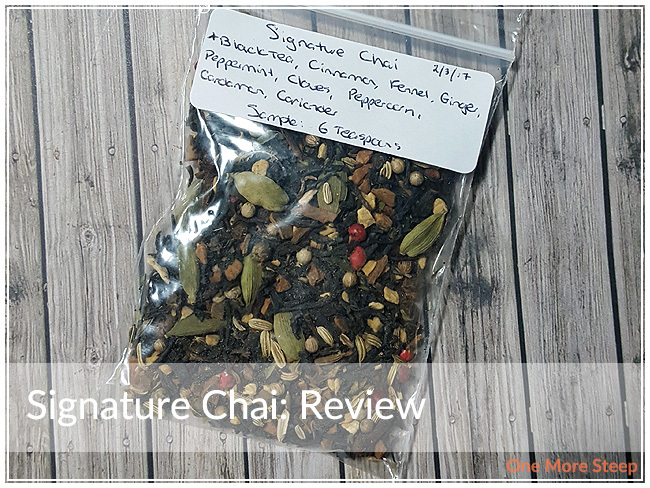 Overall, Signature Chai is delicious and I think it has a good balance of flavours, I just wish that the peppercorns were present in the flavour profile of the steeped tea.